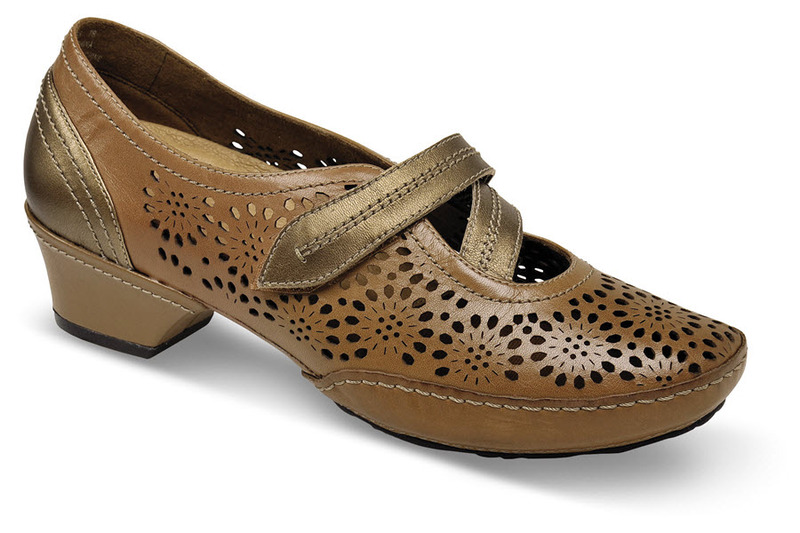 The beautiful punched leather uppers of Aravon’s brown "Flex-Lacy" pump are naturally air-cooled. Contrasting V-strap closures adjust to fit. 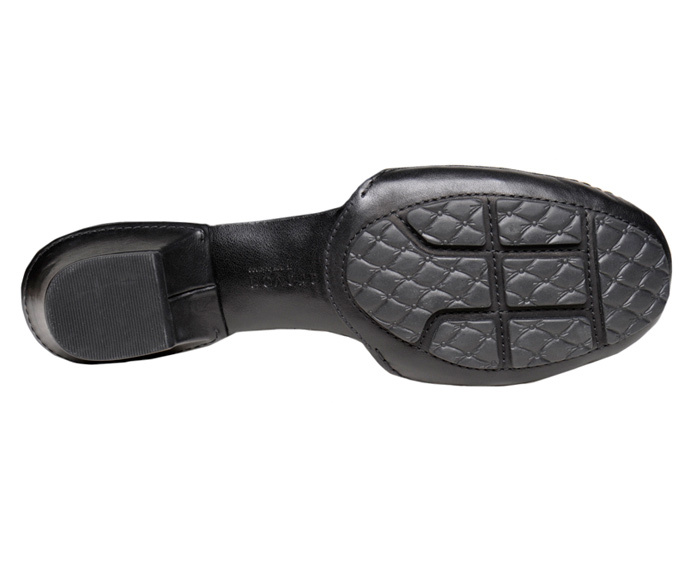 The stable wrapped heel has 1½-inch heel height. Removable molded EVA and Memory Foam footbed. Rubber outsole pods. ON SALE! Originally $149.95. Limited sizes in women's 2E width.